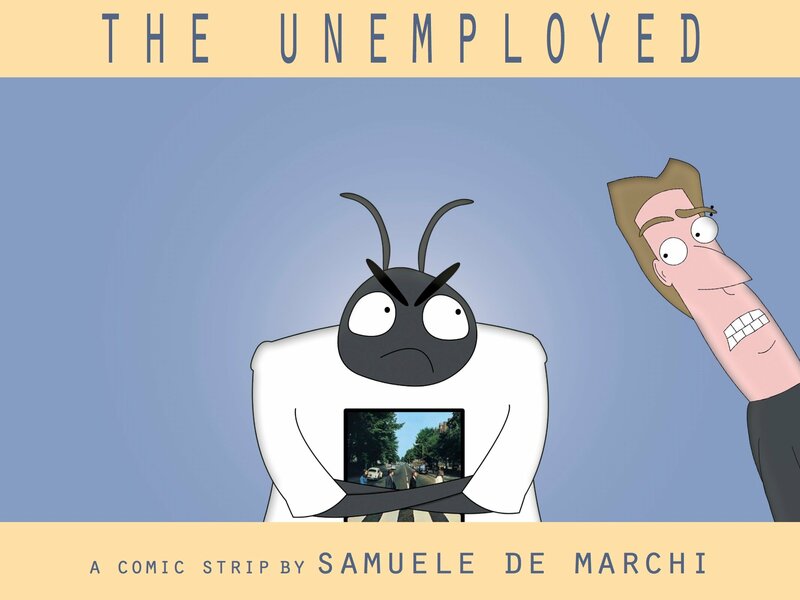 The Unemployed nasce dalla mia ostinazione nel voler creare una sitcom animata italiana. I personaggi sono in parte presi dai miei più cari amici. Per ora ho realizzato una prima breve puntata pilota, in attesa di trovare una produzione. The Unemployed is my first comic strip. It talks about Sam, his talking beetle Yōkō and their coexistence. Friends, girlfriends, parents and surreal extras gravitate around these two main characters. An ironic, cynical, surreal and wacky strip. The environment is that of today’s thirty years old guys always in search of a job. The Unemployed stems from my decision to create an Italian animated sitcom. Characters are partly taken from my closest friends. For the present time being, I have produced a pilot episode, as I’m still trying to find a production.